Hey it's great to be here, I love the atmosphere here and I especially love the fact that I'm surrounded by so many positive and like minded people. I've been making a full time income online since 2005. Most of that behind the scenes, I'm primarily an affiliate marketer, but I also market locally and the work I do for my clients is - web design, SEO, video production, logo creation, graphics stuff like that. I've also been involved with radio as an on air personality, producer, writer and recording engineer. Now it's time to jump out front. I'm here to share what I know and help when ever I can. And I'm also here to learn from all you wonderful people. If I can just share one thing, remember this is a marathon not a sprint, things take time but if you stay focused and keep taking one positive step towards your goals each day then you WILL succeed. Before you head out and check out everything here - make sure to follow me so I can follow you back and this way I can network with you personally. And above all make sure you're having FUN!!! Because if you're not having fun doing what you're doing then what's the point of doing it. Leo you have a good attitude , i have always said when i have a job i have to have fun otherwise the job is a job. You are a bundle of knowledge it's all a matter of spending the time to learn everything or as much as possible an then implementing it ! I will be keeping your name in my special list ha ha . So i can keep in touch ! I read a reply from you to another WA member which made me want to look at your profile. You have alot of experience here and an abundance of knowledge. You have shared so much, I hope to be as helpful to others as you have been. Fantastic. should I change and start new or continue. Not sure how Im going about it wrong. I lose motivation because of the low rankings and no sales.
" If I can just share one thing, remember this is a marathon not a sprint, things take time but if you stay focused and keep taking one positive step towards your goals each day then you WILL succeed." I'm new here, but that portion of your biography looks eerily similar to something I've said when I first went premium. Talk about like minded people. Consider yourself followed. Hi, Leo. Do you know anything about shortcode? I'm trying to figure out how to place it in my blogs as a read-more (without refresh plugin). Nothing seems to work and I'm probably doing something that worked once (with the read-more tag) and then it stopped working. Any ideas? Really appreciate any feedback here. Thanks a million. If you want to add the read more tag manually, the read more tag will only display if your your blog display is set to Full Post, it will not display if you have things set to post excerpts. So you simply switch to full posts, then write your own excerpt and then manually add the read more tag. Just know that you would have to manually fix all your posts and incert the read more tag. Thanks. I finally figured it out. I didn't realize that I couldn't have a blog roll with a static page, at least that's how it seems to me. Anyway, my front page is no longer a static page, so the read-mores are fine. It seems logical now that I think of it, that the read-mores only appear on that front page! All that time I spent trying to figure it out. I'm glad it's over, and thanks for your input. hope you don't mind if I follow you. It sounds like you really know how to make this WA training and membership work. I just joined this month, and I obviously have a lot to learn. Yes, I actually am having fun! I've never been a big FB or social media fan, because it seems like most people spend too much time gossiping and small-talking. That's ok if that's what they want to do: I don't mind doing it a little bit once in a while, but usually, I'd rather spend my time doing something productive and/ or profitable. My wife is always kind of pessimistic about this kind of thing, and she stumbled across some negative reviews of WA so I read them to try to determine if I wanted to continue. In my humble opinion, I feel it's worth the fee to get the excellent training they provide. At least that's the way I feel. I joined another affiliate marketing platform about 2 years ago, set up a FB page to try to incorporate it, but I was never able to figure out how to monetize it. I still have the page and I have a bunch of followers and still getting views, but I don't know what to do with it. That's why I think the training and the community camaraderie here at WA is fantastic. I'm learning what to do, how to do it, and having FUN meeting cool people like you! Thanks for sharing your knowledge! You're in the right place to build and grow your own online business, I wish all the best and of course anytime you need a hand don't hesitate giving me a buzz. Hello, just left you a message regarding Dash, your new baby girl. Hi guys, great to meet you, if you ever need a hand don't hesitate giving me a buzz, all the best to you as well. Hello this is Jill again, I hope you are having a good day, please would you send me those pixel sizes again for the header in facebook and pixels size to put my personal picture on my facebook page. I copy and saved the information so I thought but some of it is missing thank you. Thank you for responding to my inquiry on what to do with JetPack and what the message of :cURL error 7: couldn't connect to host while I clicked on CONNECT for "Connect Jetpack to activate WoodCommerce Services for my site - www.ebettercare.com. I read your profile and found how wonderful you are not just so rich in online affiliate marketing but high willing to help others. Now you got me, and I really need your help. Please! leo. I like the video. went a bit fast for me. so I will have to watch it more than once for sure. Question: you are leading them to kettlebells plural, which is awesome and will help me a lot with one of my concerns. but if I am sending to one product, say a particular eye cream made by brand philosophy how would I do it differently? I'm sure, your video is wonderful. It's my fault, I still could not understand fluent English easily because this isn't my mother tongue and I had not practiced enough. Besides, I hear not very well. That's why I would like videos here at WA to have this feature - subtitles. So, if it's possible, set them, please. Anyway, I'm very glad to comunicate with such interesting people like you. When I have developed my ability, I shall study and rehearcel all the videos that I consider very, very helpful. I can't add them to the ones I've already done but If I do any videos in the future I can add subtitles. Hi! Leoemery, Your profile is very inspiring for me to possibly succeed in e-marketing circle. At this time, I am 36 days with WA and building www.ebettercare.com. Would you please take a glance at it and see what you may suggest and comment so this baby site can soar into its designated orbit of eCommerce as soon as possible. I would appreciate your helping hands. The link to your site does not work so I can't take a look at your site. Sorry for such. This evening WA has corrected the accessibility to www.ebettercare.com by turning on WP spell app in the right way. Now I am able to get in and out my site. Well, I still appreciate your taking a look into it if time allows. Hey Leo, check this out. I'm planning to do something similar to what you do. Sure, I'm at the start line of the marathon, but basically I'm planning to provide Web design, digital marketing, and, content creation, and social media management primarily to the local market. Besides working on my wife's Yoga website. It'll be nice to have you as a consultant on that. Hello leoemery, yout video on themes was very enlightening, and opened my eyes to what I have to be concern with on building a website. I went into Site Ruxix to view my website. When I logged in I accessed my dashboard and clicked 'visit site' which brought me to my 'About Me' page. After I clicked on my 'About Me' my website popped up. BUT..the problem is about the full size shaded image of me positioned immediately above that page. It shouldn't be there and try as I might I was unable to remove it. I hope this is not as complicated to understand as it appears, but I tried to make it as clear as possible. Please advise if there's any problem with my web site set-up and how to move my full size image from the top of this page. I was told that perhaps it has something to do with my theme. You thoughts in this is very much appreciated. This is theme related - I have no idea how to remove the image because I don't know what theme you are using. I'm away for the week so my schedule for being in the WA is all over the place so I recommend you contact the theme owner. Or do a search in Google about this - it sounds like it's something others who have this theme may have had troubles with. Or even do a search on YouTube you may find a video tutorial there. Leo, so glad you decided to follow me, I could use a healthy dose of your expertise. Can I ask a lot of stupid questions? Like where can I see the theme I have chosen and how do put my content onto this theme. Should I first take some wordpress lessons in order to get some of these answers? Follow the training it will show you how to add content and as for the theme go to Appearnce in your wrodpress dashboard, then click on themes there you can see your active theme. Hi..very nice to meet you. I just watched a short video you did about editing permalinks and commented on it. This was truly a Godsend for me today. I searched Google last night to answer a question very similar to this. I was not searching for it just now, but I logged in to WA and right there it was, as if it was there just for me. Thanks for this! Hi Leo, am staring to think more seriously about the theme pages here on WA, was wondering if you might know what kind of themes have the parent & child themes like Omega, but also are able to handle the technology of mobile phones and the aps. Looking for something that works great on computers, and also great on mobile phones or tablets! Everything I use is from Thrive Themes - as with most advanced themes creating a child theme is pretty straight forward. They have a walkthrough of how to set up your child theme. What do you mean slide in? Do you mean upload a theme? Hi Leoemery, been referred to you my Rufat, seeking help with uploading pictures into my pages. Whenever I try uploading my photo onto my ABOUT ME page, it loads fully but at the end brings HTTP ERROR. Now to make it worse, as am trying to construct content / new pages on my site and in instances where I need to add some pictures, STILL IT CANT UPLOAD, bringing HTTP ERROR again...! KIndly help me if u gat a solution to it... Otherwise, it's really frustrating! Many times it's because of a plugin conflict - to find out if it is a plugin problem, disable your plugins and try upoading an image. If things go well, activate one plugin at a time and then upload another image - repeat this until you find the problem plugin or you confirm it's not a plugin issue. Thought I would interduce myself great to meet you and am honored to follow you, Leo. Ken Pringle sent me over to help me out with widgets. Been here since March and this is the first time that I have had instruction on widgets. I was able to follow and thanks very much for this video. Hi Linda, great to meet you too. I'm glad my video helped you out. Of course anytime you need a hand don't hesitate giving me a buzz. I just came upon a couple of great tutorials you've done. Thought I have to come by and get to know you a bit better! Your tutorials are so very well done and easy to understand. I will definitvely have a close look on your other trainings and tutorials. This will help me a great many steps further. Of course I will follow you! I like your positive and open minded attitude and I'm looking forward to networking with you! Hi Pernilla, it's great to meet you as well. Glad to hear my tutorials have helped you out. Don't hesitate giving me a buzz if you need a hand. Leo, thank you so much for following me back. I'm very grateful for you offering me your help. Thanks Leo. You are a motivation and I love reading your posts so I have followed you as I am sure I will learn a thing or 2. I was not active in WA for a while but I am back and want to take positive steps each day to help me achieve my goal of making a full time income online. Nope it was not me. Actually no one has access to your profile page here only you do As for your website again no one has access to your site only you (unless you give someone access to you website). I have been browsing chat here at WA at the recommendation of a member I follow almost religiously. Anyways I came across your inputs and decided you would be an awesome and interesting follow for a newbie such as myself. And of course, after perusing your profile, it's become a no-brainer. Best regards from Perth West Australia mate. Hi Leo , hope the tribe doing well , I'm fighting my new tablet trying to get cooperation out of it ,since my smart phone Locked up.I'm trying to figure out how to point my name cheap domain ( or sub domain ? Very confused) from blue host to wealthy affiliaaffiliate hosting.Appreciate any. Vids you can recommend. I found some to watch but so confused for something so simple . TThThank You ! You need to go into NameCheap where you bought your domain name and change the DNS to point to the WA servers, you'll find the WA DNS info under Domains in siterubix. If you do a search here there are many videos showing how to change the DNS in namecheap to the WA. Thanks Leo , I will try that ,I have a website sitting at blue host. Hello Leo, I've just been reading your profile, which makes for very interesting reading! It's great that you have been making a living online since 2005, it looks like you have some other valuable skills too, which is great! I look forward to networking with you and reading your blog posts here at Wealthy Affiliate, I am now following you. All the best to you Leo, Roy. Hi Leo, I know you're the video guru.... may I ask you to take a look at my question and if you can offer any tips for me please? How to make better youtube videos? I would be so grateful, thank you!! I just started my online cou3rses and I been doing some reading and see you posted something along the lines of 35000 this year in a hard niche....may I ask what your niche is? and did you choose a hard niche as a challenge? I appreciate any feedback that you can other to help me chose my 1st niche. I use to work at Amazon here in Baltimore and was a day one associate that started on the floor and quickly moved up to HR, but during my 2 1/2 years there I saw 2 items on a daily basis and I would like to choose those as my niches for my free web pages, do you think that would be a good idea I know the products sell and move at a high volume but I see Kyle mentions it should be something you are interested in - I am not interested in either!!!! But I have 3 children to take care of and money and hard work interest me the most in life. What would you say about not having an interest in my niches? My niche is the financial niche. In the long run it usually is best to start with a niche you are interested in, simply because you're going to be talking about it and promoting it for a long time. So it is easier to do that with a product or service your interested in. Now with that said you do have a little of an inside track as you were at Amazon - if you think you can get interested and motivated and stay motivated and as you know the products that sell at a high volume - honestly it's something to consider. Dear Leo, I've recently followed you in WA. Leo first since you are not a newbie with WA, a welcome to me seems a bit off so I say to you it is a pleasure knowing you and hope that my stay will be as long or longer than yours and also lucrative as your endeavors are. That is a mouthful, but I say it with all sincerity. Now, I need help learning the dashboard for enhancing my site on Spelt flour. It is called www.EstasDaughter.com. I want to showcase the many uses, benefits of this ancient flour and present it to any who have a problem with migraines, hbp, anxiety, and like that. I have plenty of content but WP is not a site that is easily navigatible. Maybe you could give me some pointers as to what I should do to improve it and move it along a little faster. Hope so and thanks for any advice, etc. I would recommend creating categories with drop down menus. This way you can create your content which will be seen on your blog roll and then you can specify that post to a specific category. I did a training video showing how to create this type of menu - the sample i used was for reviews but it can be used for anything Creating A Review Menu Tab With Drop Down Categories Thank for the kind words and I wish you a long and lucrative online career. Paul Mindra here from Ontario, Canada. Just started here at Wealthy Affiliate (University) and came across your profile through one of the networks here. I would like to be a part of yours if I may. "If I can just share one thing, remember this is a marathon not a sprint, things take time but if you stay focused and keep taking one positive step towards your goals each day then you WILL succeed." Looking forward to your response and thanking you in advance. I just subscribed with them and have a lot of problems, nothing seems to work though I do and redo things to no avail. I have made a squeeze page (with profit canvas) promising a free Ebook for their subscription. I want subscribers to optin on the squeeze page,, go to the confirm email, then go to another place where they can download the ebook. Im trying to figure what and where that place is and how to integrate the whole thing with aweber. During the setup process you will create a confirmation message that will go to your subscribers automatically - you can also set it up once they have confirmed thier request they get automatically sent to your download page - you will have to create this page. Take advantage of Awebers tutorials and live chat. Click the Help button in Aweber and you'll find everything you need. Teddie's wife -Bobbi here. wanted to say thanks for all your help and very glad you are here. We have no experience at this and are very techno ignorant. We would really like to get this thing off and running to see where it takes us in life. I'm more of the writer/ chatter here and he is pretty-much working the sidelines. I have a full time job and would love to eventually be able to cut down on some of the hours I work, so we will definitely be needing help along the way and yes, I want to have fun doing it. Thanks again and I (we) are following you. I'm sure you've already been told to follow the training. Do that and do so at your own pace, this is a marathon not a sprint, and of course if you ever need a hand head to live chat or feel free to give me a buzz. I followed you back. I just realized that you are Canadian too (for some reason, I don't meet a lot of them here). Anyway, about a month ago I created this new training tutorial specifically directed for Canadian citizens/residents and I wanted to share it with you. Canadian PayPal Users - How to Transfer from PayPal to Canadian USD account It is on the way to work around the hefty 2.5% PayPal conversion rate. Just thought I'd share, in case you find it useful! Also, a separate "thank you" to you for sharing motivational/useful posts!! 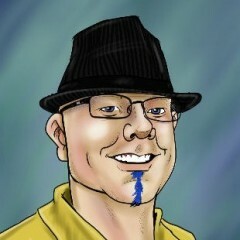 Leo, you have been highly recommended by a WA peep that I enjoy reading and following. If I may I like to follow you as well : ) ... On your profile here you mentioned and shared about one thing, "remember this is a marathon not a sprint, things take time but if you stay focused and keep taking one positive step towards your goals each day then you WILL succeed." Totally agree! If you allow me ... I'll be O~O You ... seriously I'll keep checking the content you put out. Much success to you and your endeavors! Sounds like you're a busy man. I am following you because it sounds like you've been here a while and know what you're doing. I have just gotten my first site up and indexed on Google. I am on page 3, the second position down. Don't expect to get rich there. Need a lot of help getting it set up and monetized. I may be calling on some of you vets. Sorry I can't really help, I am not an amazon affiliate nor am I familiar with any amazon plugins. I would make a blog post and ask for help I know there are plenty of amazon associates here. ok, thanks for responding! I will post. I am having a small problem about the No follow affiliate links. I have looked all over WA comments and didn't find out if it's a good step to use it or not? Do you think that using the no follow can affect the ranking? I don't know if I should put a no follow to all my affiliate links? What do you think about it, if you don't mind? Hey, Leo...after reading your replies to a few members, I realize I definitely need to follow you so I can learn to make my site a profitable one. Is it a fact that any affiliate we promote should be within our niche? I think this was covered in a lesson to stick to your niche. You can promote anything you like, it's always best to choose something you have as a passion or a hobby. As for the affiliates, yes you want to promote products and services that relate to your niche. So if you have a site about cars you don't want affiliate links to dog supplies. Stay within the theme of your niche. Are you a freelancer in design and stuff like that? I was actually thinking of updating my newly built website, after I generate a certain income (hopefully with the help of WA). Great to meet you as well. 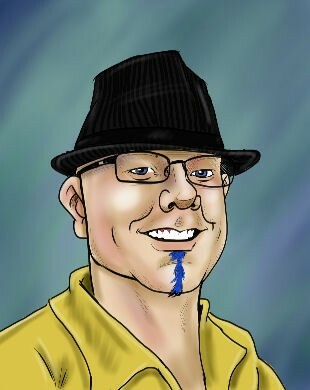 I have done graphic design in the past, but I got this picture done by a caricature artist. I so enjoyed reading your bio. Very informative with lots of knowledge to share with all of us. You have many skills and have completed this program here at WA. Thank you for offering to help us when needed. I will follow you gladly. I like your picture. Very smart looking! Thank you, anytime you need a hand don't hesitate giving me or the community a buzz. read some of your blogs. Clearly a man who knows what he is talking about. Will be watching and listening to you very closely. One question for you - apart from blogging every day. What would you say is closer to success in affiliate marketing, that I should do every day? Your top 3 - 5 pointers please. HI Harin, That's it blog everyday, create top notch content and build the trust and relationship with your reader. Leo, hi It's Mary. I am really upset . It is happeniing again. Sscuse my spellings and typiing but so tired now. Somebody sent me a mesage on the Activity Dashboard saying to me to read some guy Denis's post to me, somethign about some spam article. I have enver put a spam article up. Cud u check my websites for spam and see what the hell it is they are talking about. Of course I woudl never do that. Sick of it this time. Thanks Leo and sorry to bother u.
I have no way of checking your site for spam, if you did not put up a spam article then there is nothing to worry about and ignore this person. Hi Leo. I'm new to online marketing and it sounds like you have a lot of experience and success. I'm in the process of building my website now and am uncertain how it should look. Someone said it shouldn't look like a storefront. Any insights? Yeah staying away from the storefront look is a good idea. I know being a graphics guy myself it can be easy to go a little overboard, so remember less is more. What niche are you thinking of going into? Once you know that head to Google and do a search for sites within your niche this will give you some ideas of what to do and what not to do. And of course if you ever need a hand just send me a PM. Thanks for the reply Leo. My first inclination for a niche was something within the graphics and print field but I'm an avid tennis player and Kyle's advise is to pick something we really enjoy so I thought I would build a website dedicated to recreational tennis. When I do a google search for anything related to tennis I just get the big box stores and the major manufacturers. I agree with Kyle - pick a hobby or passion and if tennis is it, go with that. Hi: It worked! I put a PP button on my site! Ii was so despondent about my site that I neglected it and suddenly I have 240 people that love it! They love my info about hair removal! Weird eh? I can't believe this. Thanks so much for helping! I think I put my Buy Now button on a post instead of a page! That's great to hear. And you can have your by button on either a page or post makes no difference. Hi: I thought I had to have it only on a page! Thanks for the info! I took you advice that yo gave me in the chat room about clearing my cache to see if I could get to switch my pages to "visible" in the edit mode. I did not solve the problem. My theme requires that I use the plug-in called "Breadcrumb. I. installed it yesterday and every thing was normal, When I went to edit my page this morning, I encountered the problem. DSo you have any more suggestions? Sorry it was not me you were talking to - what problem are you having? HI Leo , I'v just been watching your wordpress tutorial-custom menus , very informative. I have a question , I got very interested when I was watching the sub-menus part , am I able to link a post I have written to show as a sub menu when someone hovers over a title in the main menu. Hope that makes sense , I look forward to your reply. You could - simply link the sub menu tab to your post. Good to meet you online, Leo! Thanks for the training pieces. I'm new at this, and links and embeds and all that kind of thing seem to be my nemesis. So I will no doubt be trawling the WA website continuously looking for tips, shortcuts, trade secrets and the like. I take heart regarding your comment on the marathon vs the sprint approach. The marathon is more my speed in any case. Thanks again. I wish you continuing success. I have done training videos about embedding, linking and many others. Look in the sidebar of my profile and you'll see the link to all my training. You have to create a menu first. Give your menu a name and then click create menu. I took a screen shot. Once you do that then the Manage Locations tab will appear - you can create different menus and so on. Here's a screen shot after I created the first menu. How can I use 'Media' to put an image on my post.? I have a new site, 'Gray Modern' and there is no right side info to be able to post in a position I choose. There is nothing on the right side for me to do that. Until then I cannot find your site using the URL you gave me bestallnaturalskincareproduct - I tried the siterubix extension as well as .com - no luck. Send me the correct link and I'll be happy to give your site a look see. I see you upgraded - welcome to premium. Now you can PM your site URL and I can take a look at your site. Thank you Leoemery. I'm in the starter course and just finished lesson 9. I noticed that the theme I chose was not the one Wordpress listed as active. No theme is showing yet, as I can only guess that will happen later, but I certainly don't want the one listed now. Am I able to change it now? You can choose anyone of the available themes for free members. And yes you can change your them anytime you want. However as a free member you cannot upload any themes - you only can use the themes that are pre-loaded in your appearance area. All kidding aside, I am learning and can't figure out something I am sure has a simple explanation. I did a short test video using JING from my computer. I saved to my desktop and it only lets me save it as a swf file. First of all what is that and second it will not open up and let me play the file. I tried a 'open with' MS movie maker but it won't play. I'm trying to learn how to save it to be able to up load it as a media file (wondering if I have to learn FTP to upload it to my website) on my wordpress site. Can't I just go into my media library and select the file on my computer (as long as I saved it in the correct format) and upload it to my library just like I do with an image? And then also wondering, just like I have to compress an image file before uploading it do I have to do something like this for the video? Sorry, I know this is not just one question, but any direction will help, Thanks. Try dragging the file into a web browser window. It needs to be hosted and then the embed code is what gets loaded onto your site. So you need to load the video to YouTube or use a paid service like Viemo to host your videos. You may want to look at buying snagit - - there use to be a pro version of JING. But now the MPEG-4 video functionality has been incorporated into snagit from JING. Wow, I would have never guessed you could drag it up there to have it play, it worked great. Will that SWF file upload to Youtube? What are your feelings about Sceencast-o-matic? I will probably eventually buy camtasa but want to learn a bit more before soaking the cash. And in regards to uploading to Youtube is there a way to do that for Youtube and not have all the ads? Our do you have to pay something like Viemo to get no ads? No you would have to convert the file to one of these MOV. .MPEG4. MP4. Screen-o-matic is a great free program. No youtube comes with ads. Thanks again, your answers are always helpful. I hope to learn a lot from you. Web design isn't one of my strengths. I wish there was more training on here to create a great website and which of the themes to use. It would be great for someone to go over all the details of a theme, explaining all the terms, etc. I found your training videos right after I left my first remark...thanks. I will watch all your videos. Hey Leo - What cooking? I have a question with regards to your Widget Training. You know how lots people have a widget with a photo and brief intro as their number 1 position on sidebar? Is this accomplished in a similar manner custom widgets? Do I use a text widget and add photo and text? Yep done in the same way - use a text widget and add your image code and then your text and you're good to go. The easiest way to add your image to a widget is open a page and then add your photo - switch to Text mode grab the code and place that code into your widget. What would cause the widget to overlap another? I tried to incorporate THE SITE OWNER widget but the photo overlaps into the second widget. Any ideas? I took a photo but I can't insert it here. Sounds like a conflict with the widget and the theme - remove the widget and the simply use a text widget from the back office widgets area and insert your image code into the widget. This should solve the problem. I did a training video on how to use you editor to create code you can use in your widgets. That's what I did. I used the Text Widget exactly how as you show it in the training - I did this with two other widgets with no issues. Maybe it's the Thumbnail view. I try it with plain 250 x250 and see what happens. Is there a photo format that works best? Like JPEG or PNG etc. "To get what you want, give others what they want." Or, something similar to that. And it's absolutely spot on. Oh, okay. I've heard it a lot, but never knew who said it. Which is kinda sad since I have read some of his stuff. Of course you can - but it is content that is going to get traffic to your site - so writing about your products and anything related to them will generate traffic. And I'm sure you know to do your keyword research for any content you create. Yes, I found many good ones though Jaxxy. I have a googleplus account since about 4 years, which I did with my name: Sabrina Brühwiler - At that time I didn't know about Web Design, so I wasn't thinking about the ü which could be a problem. The thing is, this is my official Google Account - I can just change my Name - it doesn't change my url! Is there any possibility to embed it to WA that I can use my normal google account or do I need to make another one? Probably someone from the Dev Team which could help me out in writing the code different in the html like that: ü? Or can I change it somewhere in Google? As part of the TOS with Google plus you can only have 1 Google plus account. However you can create as many pages as you like. I have my primary Google plus account and I have several pages that represent my other niches. You can create a page and then use that page to connect with the WA. Many thanks for the 'follow' mate I really do appreciate it. I was very impressed with the second paragraph of your profile. So, if I get stuck when I'm traveling along the tech side of my WA learning roadway, guess who I'm going to call :-) Thanks again Leo. Live long and prosper.